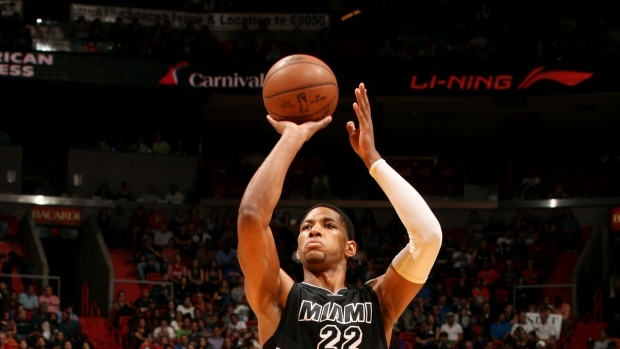 PHOENIX - Danny Granger has exercised his one-year, $2.17 million option with the Phoenix Suns. The 32-year-old forward came to the Suns in the trade that sent Goran Dragic to Miami but he never played a game for Phoenix because of a knee injury. Granger, a 10-year NBA veteran, played in 30 games last season with the Heat, averaging 6.3 points per game. Granger's best seasons were with the Indiana Pacers, where he averaged 25.8 in 2008-09, but injuries have dogged him in recent years. He played eight-plus seasons for Indiana before being traded to Philadelphia. The 76ers bought out his contract and Granger signed with the Los Angeles Clippers during the 2013-14 season.